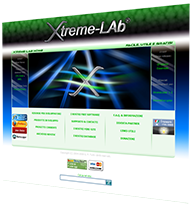 Xtreme-LAb was founded in 2004 as a label to publish the free software made by founder Gabriele Piccinino in his spare time while he was studing. 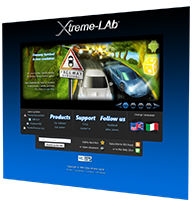 Until 2011 Xtreme-LAb’s web site and applications were only available in Italian language, but, since we've gone international, we won several awards for our free applications and got positive reviews from both critics and users: our most recent and famous applications are: 7GIF, InFile Seeker and GFXplorer. At the end of 2012, Xtreme-LAb became a full fledged private company, focused on the creation of small but useful software and indie video games.